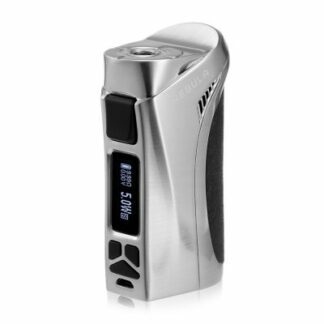 The Vaporesso Nebula is Vaporesso’s first OMNI powered box mod that features support for both 26650 and 18650 batteries, with a auto set power ceiling of 100W or 80W, respectively, that gives it dynamic range and versatility. 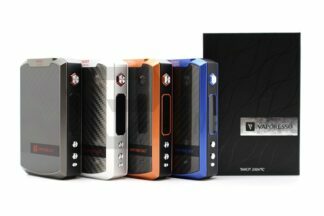 Carrying on the modern chassis design of Vaporesso’s flagship products, the Nebula features a striking chassis design that evokes a aggressive and futuristic look and feel. Manufactured primarily out of Zinc Alloy, the Nebula features a textured grip opposite the control face that increases comfortability during use. 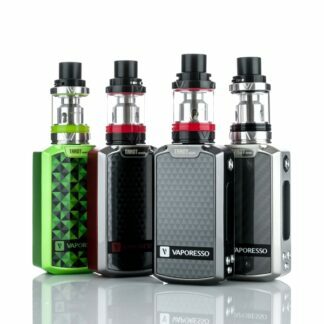 The OMNI Board is Vaporesso’s premiere output system, and features six output modes, with the new Customized Curve of Wattage (CCW) and Customized Curve of Temperature (CCT) modes adding a greater range of versatility and precision. In CCW mode, users are able to customize wattage output second to second and ramp up control every half second, allowing users to experience output dependent on their needs and wants. CCT follows suit, with customizable temperatures during use to allow users greater control. Bypass Mode, Smart Variable Wattage Mode, TCR, and Ni200, Titanium, and SS316 temperature controlled output are also onboard for more traditional methods of output. Batteries are loaded into the Nebula through a magnetized, sliding access door and are secured in turn by 24K Gold Plated Contacts. Featuring native support for 26650 batteries, the Nebula also includes a silicone adapter sleeve for use with 18650 batteries. With a smartly balanced chassis that features support for the two most common battery types alongside Vaporesso’s well received OMNI chipset, the Vaporesso Nebula is a versatile, quality platform perfect for users looking for a durable and performance driven midwattage system.